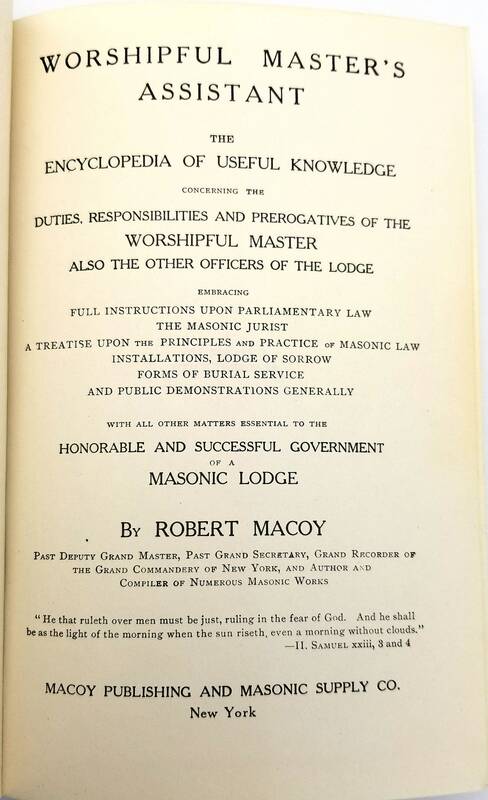 Worshipful Master's Assistant by Robert Macoy Hardcover Macoy Publishing and Masonic Supply Co. 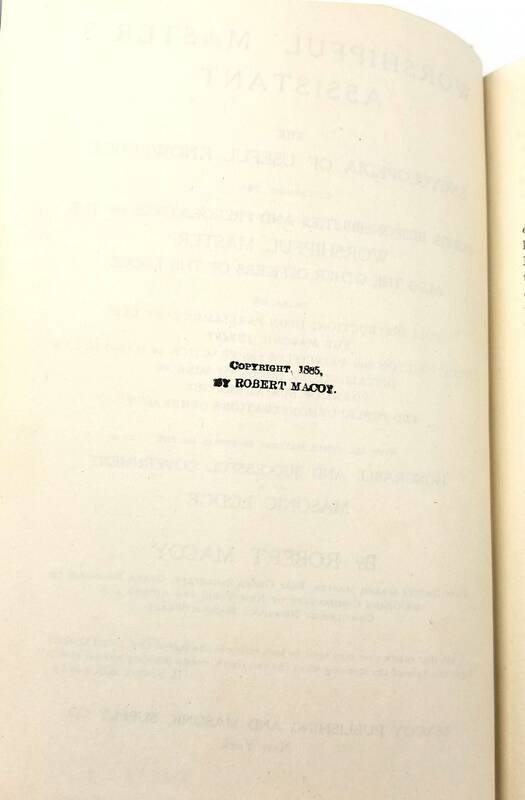 Description: Copyright date 1885. No other dates. 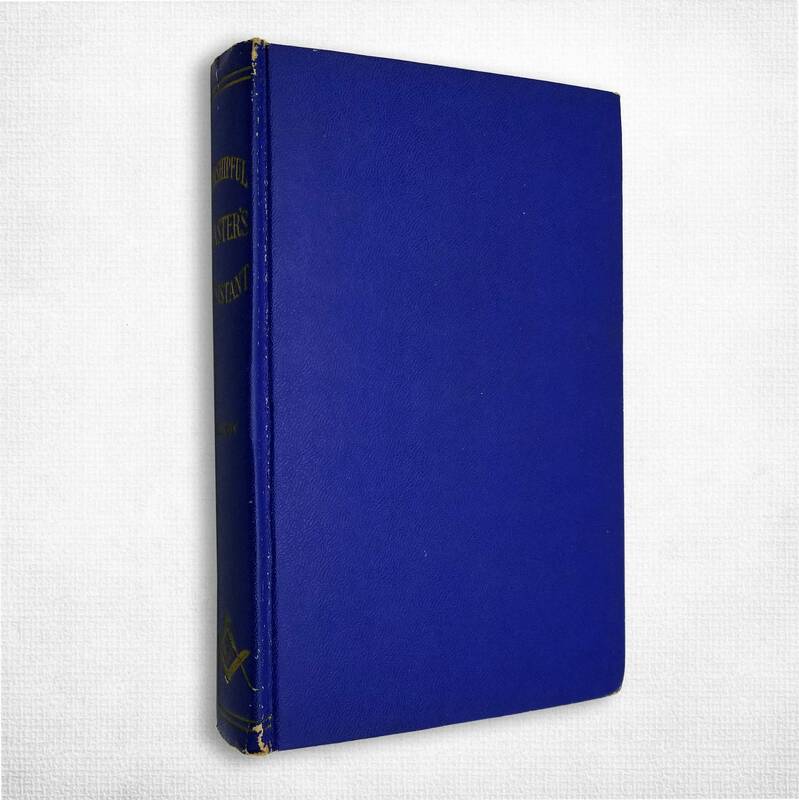 Blue cloth boards, gilt on spine with the Macoy logo. Heavy rubbing at head and tail of spine and corners of boards. 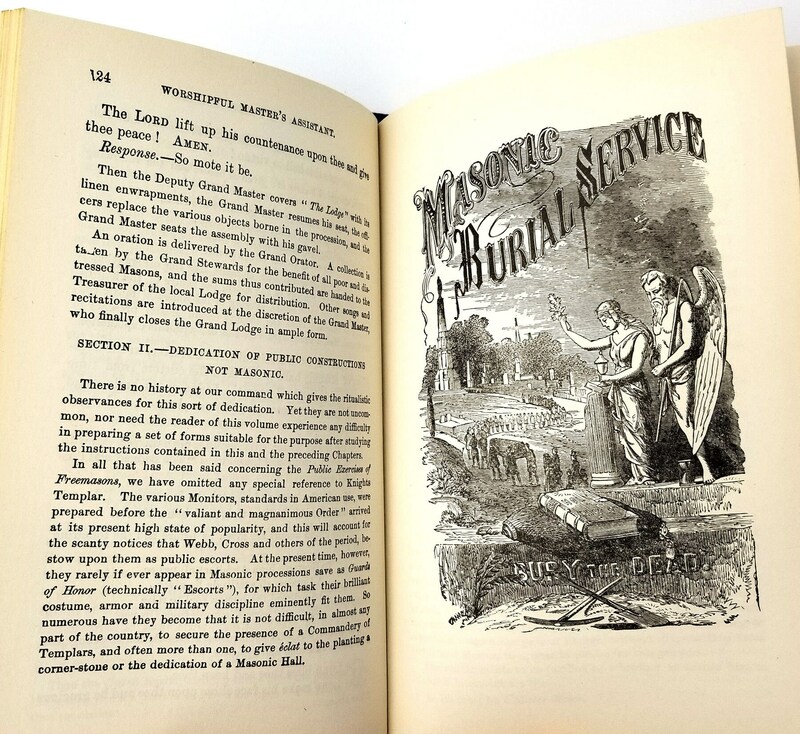 One page has a little bit of underlining; a few pages have single pen marks in the margins; previous owner's name and info on ffep along with some handwritten notes and a rubber stamp from Gilbert Publishing Co.